Hello everyone! It’s me, the Angel’s Little Helper and I have written a new guide for players just starting the game. In LoA2, it’s inevitable for players to come across things that are unfamiliar to them. For the purposes of this guide, I’d like to give an overview of the Attack sequence, Rage-generating mechanic, and Battle formations. I hope this will prove useful in your journey through the land of the Angels! The typical Attack Sequence can be easily understood as: “Front to back, top to bottom”. 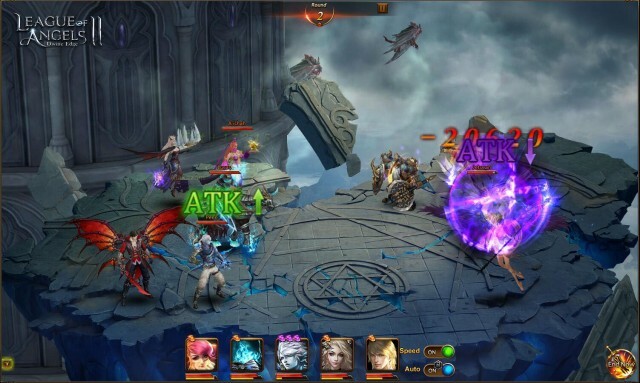 Besides skills with specific targeting rules (such as “target enemy with lowest HP”), most single target skills and basic attacks will auto select their targets according to this sequence. “Front to back” means your units will attack the enemy’s front row units before the back row. In essence, the front row units protects the back row from most single target attacks. “Top to bottom” comes into affect when there is no enemy on the front row and directly opposite of the attacking hero. In that case, your unit will attack other front row units going from top to bottom. 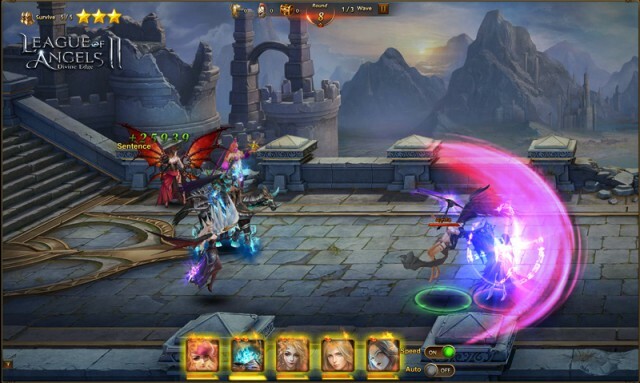 Rage is a resource that allows Heroes to unleash their powerful Ultimate skills. Every Hero and Angel has a Rage bar that maxes at 1000. General attacks against enemies will generate 150 Rage while killing an enemy will generate an additional 300 Rage. While attacking is staple way to build Rage, in most cases being attacked will generate even more. This means the side that is taking more damage is usually the first to be able to use their Ultimate skills. Tips: While you can set Ultimate skills to release automatically as soon as Rage is full, it is usually better to trigger them manually at the right time. For example, against a formation with powerful healers, you may want to save multiple Ultimates until you can unleash them at the same time to burst a target down they can get healed. Also, you should save your healing Ults until your team has taken enough damage to maximize the effects. But remember, if Rage is full the Hero or Angel will not be able build any more until their Ultimate is used. Sometimes it is ok to use an Ult just so you can start building Rage again. Your Battle Formation is one of the most crucial factors that will determine victory or defeat on the battlefield. Always ensure that your units are positioned optimally for each encounter. 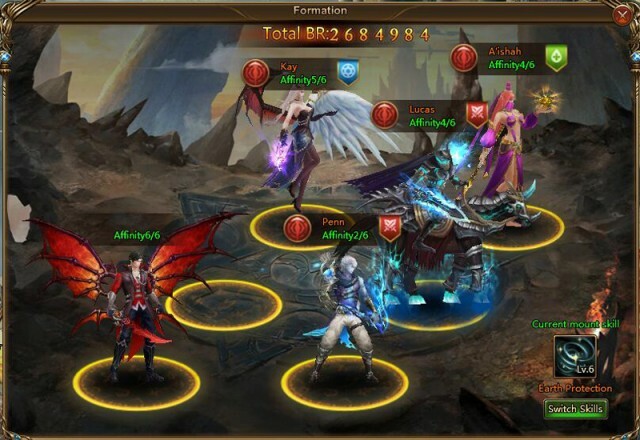 For example, if the enemy formation has multiple skills that target the back row, you can try placing your tougher heroes in the back, even if conventionally you’d want them in the front. You generally want to place your heroes in positions to minimize your enemy’s damage (if the most dangerous enemy deals damage in a line, place only 1 hero opposite them). You can also consider what you just learned about the Attack sequence and Rage in your formation setup. If you have a unit with a powerful Ultimate, try positioning them to take just enough damage so they can fill their Rage quickly and use their Ult to hopefully take out an enemy early on. That is all for this guide. Combine everything you have learned and you will surely quickly rise to the top and become a master at LoA2!